Greenwich charity, Greenwich Starting Blocks held a Gala Dinner on Wednesday 4th October at the prestigious InterContinental, 02 London Hotel to celebrate 10 years of success and raise funds to support the next generation of Greenwich athletes. 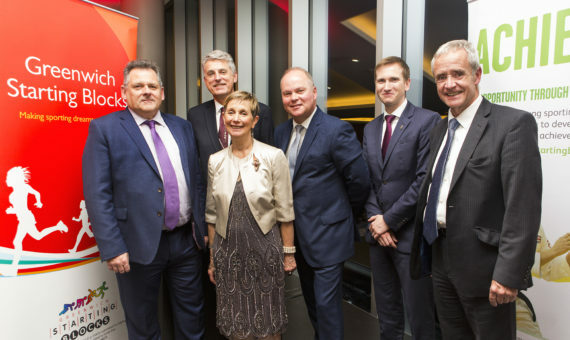 280 guests from across the sport, corporate and political world attended the dinner including Royal Borough of Greenwich Leader Cllr Denise Hyland, Deputy Leader Cllr Danny Thorpe, and the Mayor and Mayoress. One of Britain’s greatest athletes and now cross bench peer Baroness Tanni Grey-Thomspon delivered a brilliant after dinner speech which engaged the wide stakeholder audience, raising smiles, laughter and admiration. Baroness Tanni Grey-Thomspon explained “Greenwich Council and Greenwich Starting Blocks are playing a vital role in supporting todays and tomorrow’s athletes, and the attending athletes here tonight will inspire future generations to come”. Attending athletes included Greenwich residents and Olympians Daryll Neita, Tosin Oke and Montell Douglas. Daryll won bronze at the Rio Olympics in the 4x100m relay and returned this year from the World Championships with silver again within the same GB 4×100 relay squad. During the dinner guests also heard from supported athletes Jonathan Webb and Ben Pritchard, Jonathan is a GB fencer who this year found himself with no central UK Sport / British Fencing funding due to the sport performance cuts incurred. Ben a former GB age group triathlete suffered a life changing injury in 2016 and is now part of the GB para rowing development squad, they both have their eyes set on further sporting success. Ben explained “The support of the programme has been a significant boost for me, my sporting target is set and I know I have Starting Blocks in my corner to support this journey, watch this space”. 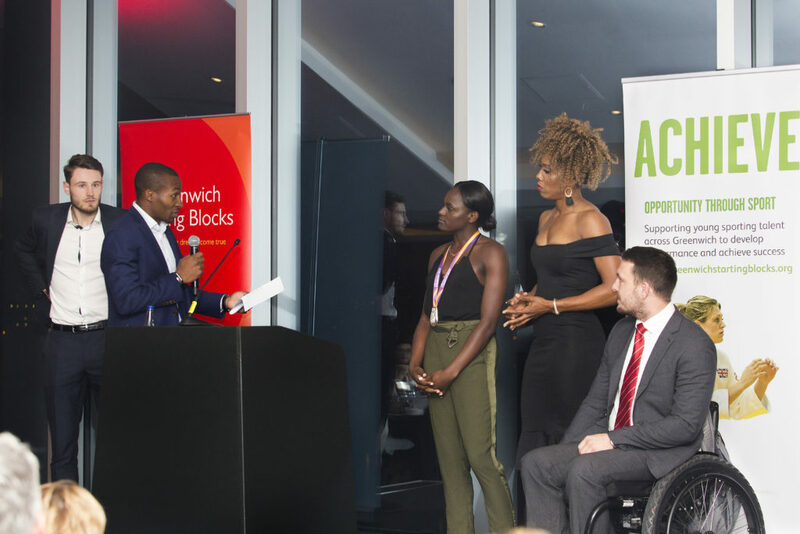 In 2016 Greenwich Starting Blocks set up a partnership with the Muhammad Ali Foundation; which donated funding to the Charity to support young athletes, focussed on Muhammad Ali’s focus on inspiring and engaging future generations. The Charities Trustees select a young athlete of the year, this year 18 year old Callum Sullivan won the award, he was chosen as he competed for GB at the equivalent of the European Rowing Championships winning silver, he has developed significantly in a short period. Runners up were 17 year old para cyclist Matthew Robertson and 17 year old athletics sprinter Vera Chinedu. Matthew won the National Championships, and won multiple medals across his National circuit whilst Vera competed for England at the 2017 Junior Commonwealth Games gaining a finals sport in the 100m. The money raised from the night will support the Charity to fund the 2018 awards round and with numbers expected to be 85+ the award play a vital role. Trustees would like to thank all attendees, and they look forward to the 2018 event and further afield as the impact the programme makes to young Greenwich athletes is significant.